American civil justice depends on the right to defend oneself in court. Anyone can file a lawsuit against you, me or anyone else and we have two constitutional safeguards: they must prove their case, and we get to defend ourselves. It may surprise you that Florida judges can take these rights away, finding us “guilty” even if we can prove we did not cause the harm. We call this the “civil death penalty.” Florida personal injury lawyers recently found they can use the “civil death penalty” to win bad cases. In any lawsuit, parties are required to exchange relevant information the other side can use to build a case or defense in discovery. Failure to produce such information exposes a party to sanctions, such as fines or payment of the opposing party’s attorneys’ fees. The “civil death penalty,” as its name implies, is the sanction of last resort in civil liability cases because it holds a defendant liable without trial. Historically, this powerful sanction has been reserved only for when a defendant engages in unconscionable discovery conduct, such as shredding key evidence. Recently, a few creative personal injury lawyers have begun using the “civil death penalty,” even when the facts are not on their side, by provoking discovery disputes to get monetary sanctions. Such a scenario is playing out in Broward County. Operators of Ecuadorian shrimp farms are suing DuPont, the maker of fungicide called Benlate™ that was used to treat banana plants in South America. The farmers allege the active ingredient in Benlate™ is toxic and the fungicide contaminated their shrimp crop after being applied to upstream banana plantations. The personal injury lawyers have waged twelve-years of litigation against DuPont, even though they first blamed other companies’ products for causing the shrimp deaths, turning to DuPont only when those claims were ousted on jurisdictional grounds. Independent scientific reports have shown the shrimp died from a virus, not fungicide. 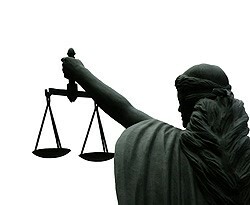 In courts of law, the constitutional right to defend oneself at trial should not be taken away. To stop this exploitation, Florida needs strict and fair guidelines for when the “civil death penalty” can be used. Given the reality of today’s complex civil litigation, and discovery disputes are quite common. However, barring extraordinary inflammatory conduct by a party in discovery, a jury should be trusted to sort through the evidence and determine a case as it should be – on its merits. Due process depends on it. William Large is president of the Florida Justice Reform Institute. 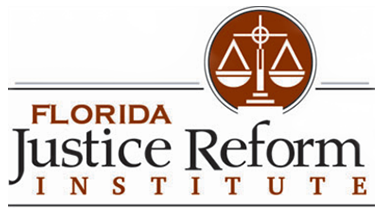 The Florida Justice Reform Institute’s mission is to fight wasteful civil litigation through legislation, promote fair and equitable legal practices, and provide information about the state of civil justice in Florida.